South Bend, Indiana is a college town full of history. Be a part of it. To accommodate the thousands of college students who come to South Bend each year, the city offers entertainment, dining, culture, recreation, sports, arts, and everything in-between. 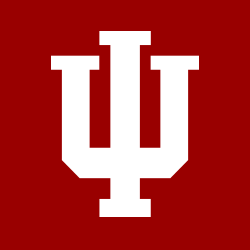 IU South Bend campus tours are available every Tuesday at 10:00 am and 2:00 pm EST and Friday at (New!) 2 pm EST and take about 90 minutes. You can find a list of on campus events, tour times, and admission representatives on the road near you to connect and answer your questions. Admissions presentation about our campus, the application process, and financial aid. Interactive student panel which allows you to learn about campus housing, student life, and insights into a spotlighted major from the perspective of the student. Full campus and housing walking tour. Academic session to learn about majors and degree programs. Our scenic campus is located on the St. Joseph River near downtown South Bend and is a convenient walk, ride, or drive to a variety of venues and activities.